David Blum from Sunovion talks about the New Drug Application (NDA) to the FDA (March 2018) for Apomorphine Sublingual Film to treat motor fluctuations (OFF episodes) experienced by people living with Parkinson’s disease (PD). To learn more about this NDA, visit here. 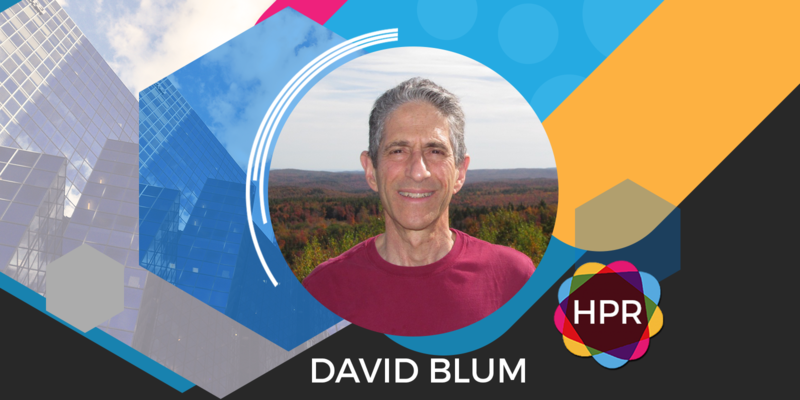 Guest Bio: David Blum is the Global Function Area Head of Neurology Clinical Research at Sunovion Pharmaceuticals Inc. His role is to supervise and implement all aspects of clinical development programs from phase II through IV for neurology products in global development. These programs currently include programs for epilepsy, stroke, neuropathic pain, Lewy Body Disease, and brain tumor. He has worked in clinical development positions in the pharmaceutical industry for over 10 years, and has, as medical project leader, secured 4 NDA or sNDA approvals as well as approvals in EU and Canada. Prior to working in the pharmaceutical industry, he was in practice as a clinical neurologist at the Barrow Neurological Institute in Arizona for 10 years, and has authored or co-authored over 50 full-length papers in neurology-related areas. He received his MD from the University of California at San Diego, did a neurology residency and a neurophysiology fellowship at the University of California at Los Angeles. Neal Howard: Hello and welcome to Health Professional Radio. I’m your host, Neal Howard. Thank you for joining us today. Our guest is Mr. David Blum from Sunovion. He’s joining us on the program to talk about a new drug application to the FDA for the Apomorphine Sublingual Film. I’ll let him give us a little bit of background about himself and jump right into this discussion. Welcome to the program, David. How are you? David Blum: I’m good. Thanks for having me, Neal. So I’m a neurologist and I run studies for new drugs. Our newest product that we’ve just submitted to the FDA is a little morphine film and this is a treatment for off-episodes in Parkinson’s disease. N: What is an off-episode? D: So Parkinson’s patients as they progress through the illness, develop fluctuations in their response to medicine and there are times when they simply don’t respond. At times when the medicine wears off and they feel frozen, they’re not able to move. So we call that an off-episode. They can have an early in the morning when previous night’s dose is worn off. They can happen between doses just before the next dose is taken or they can happen at random times during the day unrelated to the time of dose. They’re very annoying to patients. So the usual way to treat them is to adjust the background medicines and try and smooth things out. That can be very finicky, can be difficult. Our product allows the patient to take a dose when they have an off-episode for rapid treatment and treat the episode on demand. N: How often with the old method were we talking about these episodes taking place say, if they were doing nothing? You say much much more than annoying but now this is an immediate transition from the old method to this brand-new method. There’s no transition period. D: Well, there’s time for it to kick in. So typically, a patient could have anywhere from 1 to 5 off episodes a day. Those can be very annoying as you say. So now our new product is Apomorphine which is highly potent dopamine agonist and it’s formulated into a film that goes under the tongue. Ordinarily, the problem with a morphine, you swallow it, gut enzymes destroy it and it doesn’t get into the blood that way. So previously, there’s an approved product that’s Apomorphine in an injectable pen but you can imagine that Parkinson’s patients when they’re off and frozen and moving slowly might not do well with an injection and nobody wants to inject needle every day multiple times. Anyways, so we’ve reformulated it. So the film goes under the tongue and the drug is absorbed directly there straight into the blood bypassing the gut enzymes. N: You can adjust these doses based on how severe their Parkinson’s is or what stage or is this something that across-the-board affects these patients similarly? D: The central feature of Parkinson’s is there’s a wide range of severity. There’s a wide range of how much dopamine stimulation a patient needs to treat their symptoms at a given time. So with our product, the patient has a wide range of doses from 5 to 35 milligrams and they can titrate up to find a dose that works well for them. It’s effective and well-tolerated. N: Is this available to all Parkinson’s or are there some qualifying things that have to be dealt with before it’s available? D: Well, if the first thing that has to be dealt with is getting the FDA to approve it. We submitted the new drug application on March 29th and we hope to get it approved and on the market. Part of that FDA review process is determining exactly who they think we’ve proven the patient where the product is good for. N: What type of criteria based on, as you say, the wide range of severity? What type of criteria kind of pinpointed it down to an ideal candidate? D: The ideal candidate has off episodes and is troubled by them. The ideal candidate pretty much anyone with Parkinson’s disease meets that criteria. N: I just want to be clear that it wasn’t one swatch of the Parkinson’s population that this treatment was very well for and then another part of the population that it just wasn’t going to be good for it all. D: We haven’t found indicators of that. N: When it comes to someone having had Parkinson’s for a long time since diagnosis, is that a factor in how this drug works with them? D: Yes indeed. So very early in the disease, patients might not even need drug treatment at all. As the disease progresses still early in the course, the motor fluctuations might not be troubling or might not be fluctuations. Those develop as the disease severity increases. With later and later stages in the illness, there’s greater difficulty in adjusting the medications to avoid those off episodes and that’s when this becomes an important treatment. N: Is this something that if a patient isn’t uncomfortable with injections maybe not several times a day but if it’s controlling to maybe once or maybe twice a day if they’re okay with that, is this something that you would encourage? Is this something that can be used in conjunction with or is it always one or the other? D: Well, we haven’t studied it in conjunction. So I don’t know the answer. I wouldn’t tell patients what to do but I think the choice is pretty obvious in that sense and this opens up the opportunity to use Apomorphine for patients who aren’t using the injection which is a very large chunk of the Parkinson’s population. N: Well, where can we go in and learn some more online about Apomorphine film and this application? D: So the results from our phase 2 study were published last year and the top line results from our phase 3 study were put out in a press release and we hope to have a poster presentation at an upcoming meeting and then a full publication later. N: I do believe you can learn more at www.sunovion.us/research-and-development/pipeline.html. It’s been a pleasure talking with you today, David Blum from Sunovion. I’m hoping you’ll come back and give us an update when approval takes place and we can go from there. D: I’m looking forward to that. Thanks for having me on. N: Thank you. You’ve been listening to Health Professional Radio. I’m your host, Neal Howard. Transcripts and audio of the program are available at hpr.fm and at healthprofessionalradio.com.au.